We always try to go away for our anniversary. Over the last few years, we visited Paris, Hamburg and Budapest. And this year we visited Vienna! 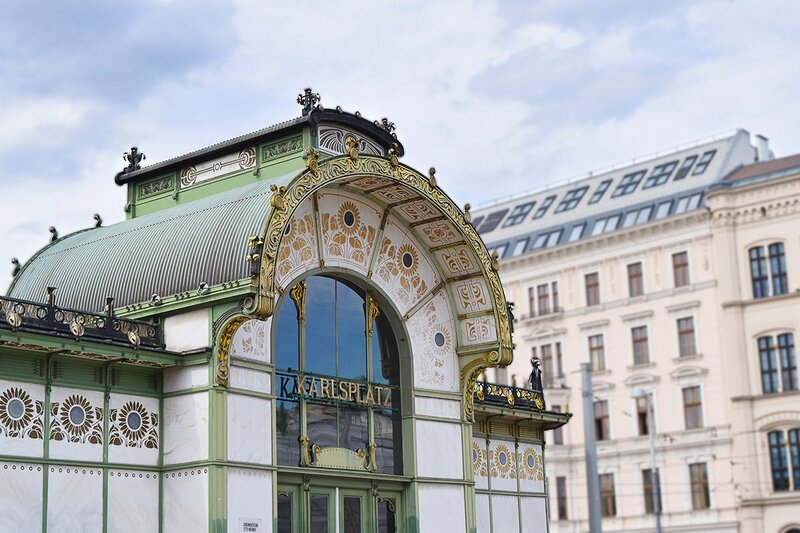 Vienna is one of the European capitals that had always been on my wishlist of places to visit – and it was exactly as I’d imagined. The architecture is stunning, the food is delicious and it has that perfect old-school charm that makes you feel like you’re in a fairy tale. We were also lucky as Jan is currently working in Vienna (yep, we moved from Manchester to Berlin only for him to start working in Vienna) so we were able to get insider tips from a couple of locals. As much as we love to tick the big touristy boxes, it’s always nice to be able to get a feel for the “real” city without masses of tourists with selfie sticks! 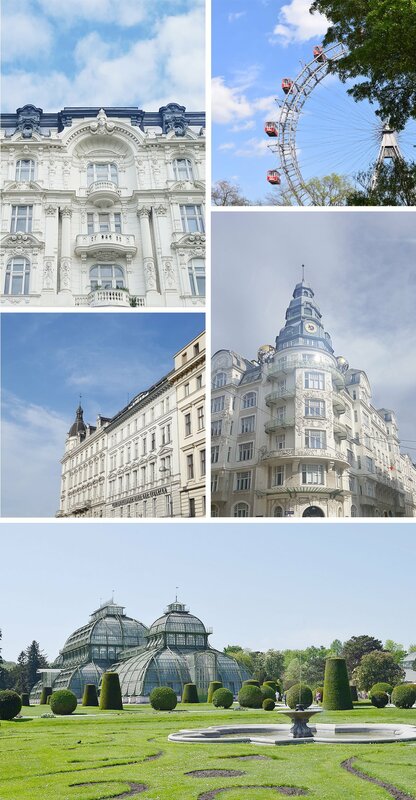 I’m a huge fan of the Art Nouveau period (which is part of the reason that I fell for our apartment) and the Wiener Secession (which is what it was called in Vienna) is a perfect example of just how spectacular this style of architecture and design can be. 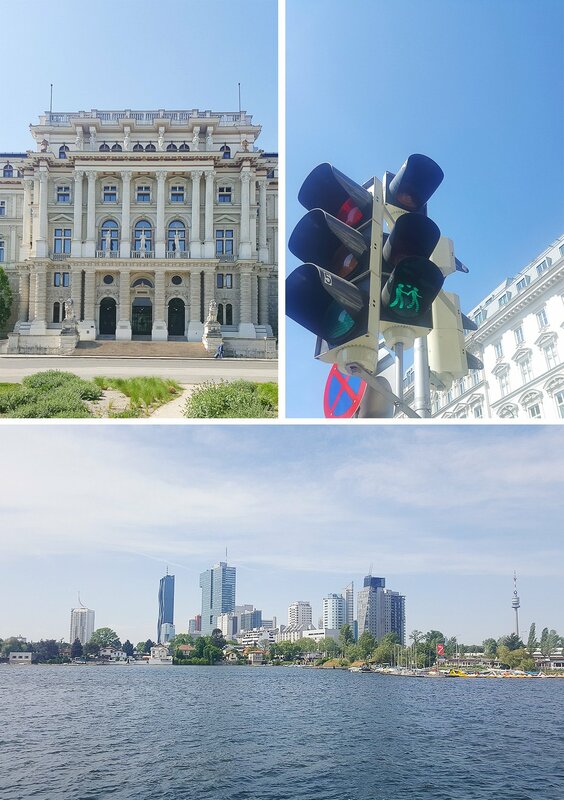 Like any large city, there’s a lot to do and see in Vienna but, as we arrived in the middle of a heatwave, we spent the majority of our time in Vienna just wandering the beautiful streets and taking in the breathtaking architecture. We couldn’t resist jumping into a couple of museums, though. 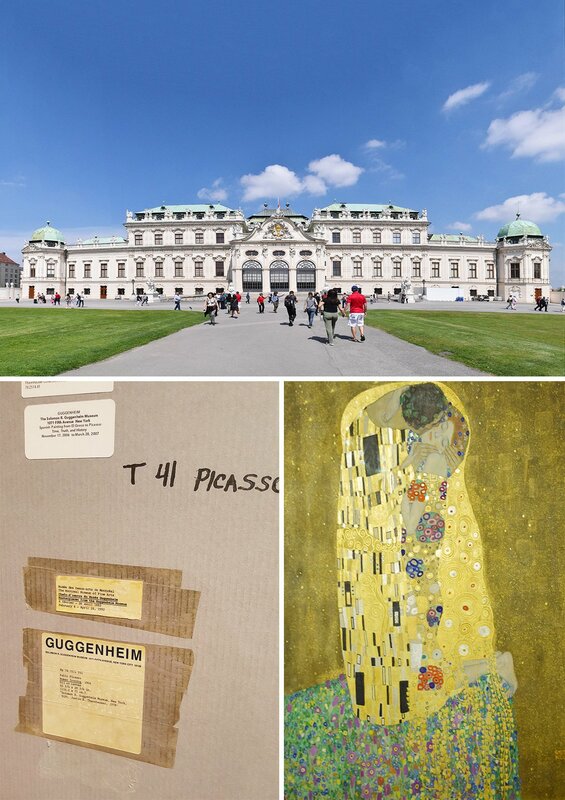 My favourite was Belvedere palace which has a great collection of art including “The Kiss” by Gustav Klimt. It’s a stunning painting in real life and was well worth a visit. One of the things I enjoyed most at Belvedere was their temporary exhibition called “Im Blick” which shows the backs of famous artworks. I know it sounds weird (and it kind of was) but it was really interesting to see the reverse side of the paintings and frames. It felt weirdly special and like it was a privilege to see the back of the paintings. Having said that, I would have loved to see the front of some of them, too! It was also fun to watch people’s reactions as they entered the gallery as most of them thought that they weren’t allowed to be there and the museum hadn’t yet got round to hanging the art! One of the things we’re always excited about when visiting somewhere new is trying some of the local cuisines. And the food in Vienna was delicious! 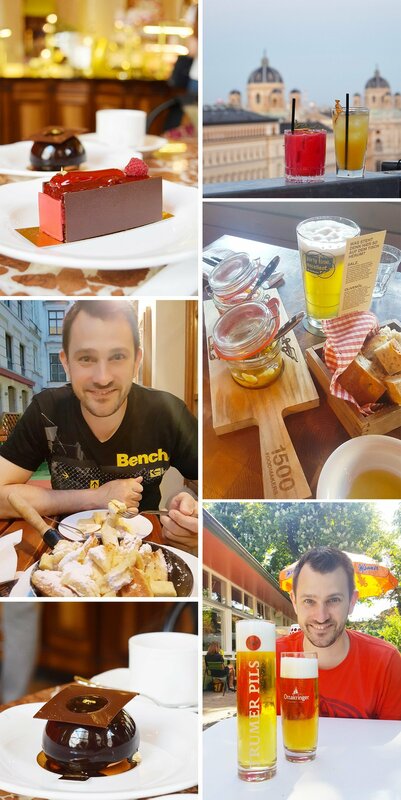 We ate everything from Palatschinken (which is a kind of pancake that has a sweet or savoury filling), Wiener Schnitzel, Kaiserschmarrn (a sweet pancake which is chopped into pieces with various sauces and extras), as well as Sacher Torte and fancy pastries in some of the amazing coffee houses. Oh, and of course, we had to try some of the local beers, too! Wandering around the Prater – which is the oldest fairground in the world – was also fun, even if it had a slightly dated feel (in a charming kind of way). 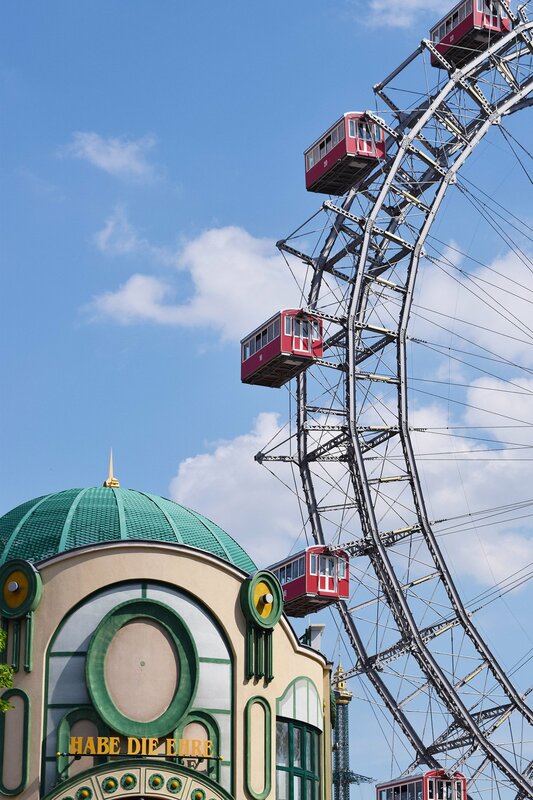 I’d always wanted to see the iconic big wheel in Vienna and it didn’t disappoint. It’s hard to believe that it was built way back in 1897! 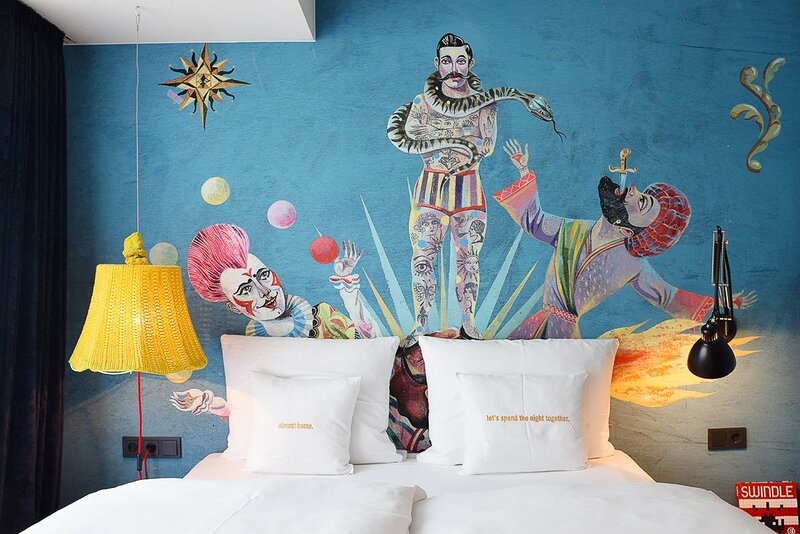 The Prater is so iconic that the hotel we stayed in had a fun circus theme based on the famous fairground. 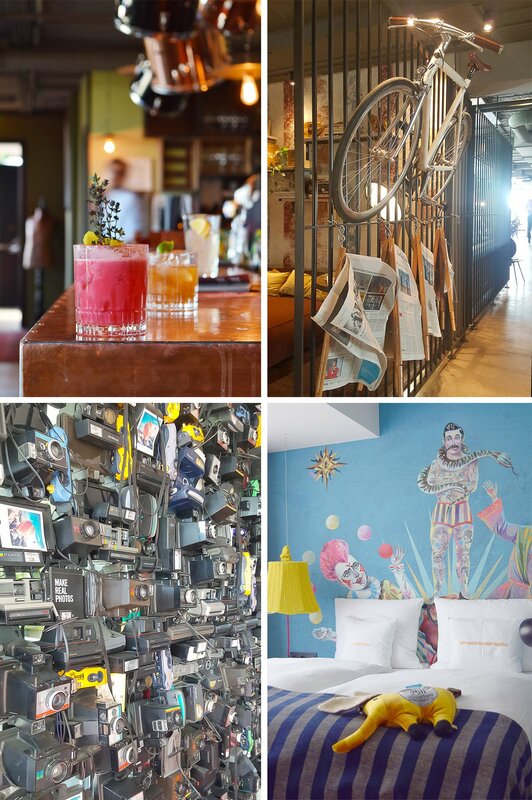 The hotel we stayed in is the very funky 25hours hotel in the museums quarter in Vienna. It’s such a fun place with countless details that make it really special. 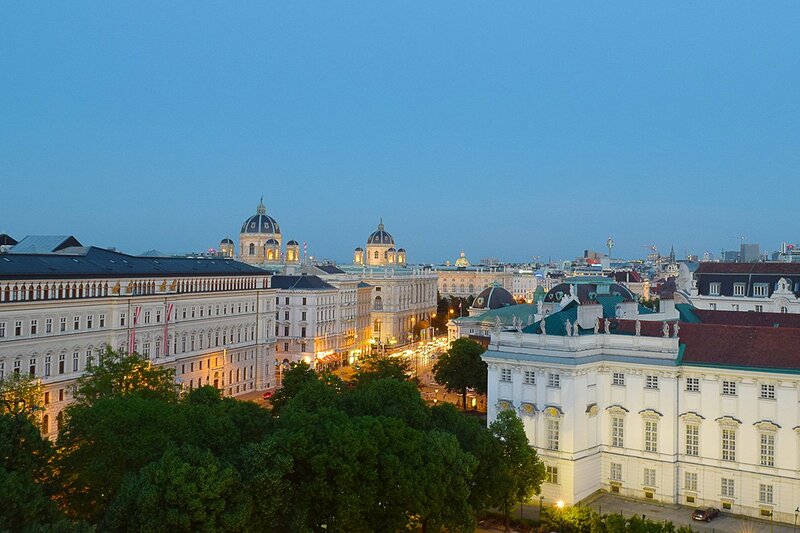 I have to admit that I struggled to take a picture in Vienna. Not because there weren’t plenty of amazing things to take pictures of – quite the opposite – everywhere was so picture perfect that it was almost like a mental block and I couldn’t take it all in. I guess we’ll just have to go back for a second visit! We had planned on popping over to Bratislava for the day (it’s less than an hour away) and we’d also planned on visiting a lot more of the fabulous museums but with the weather close to 30°C we admittedly got slightly distracted and ended up spending more time than we’d anticipated just relaxing in the sun. 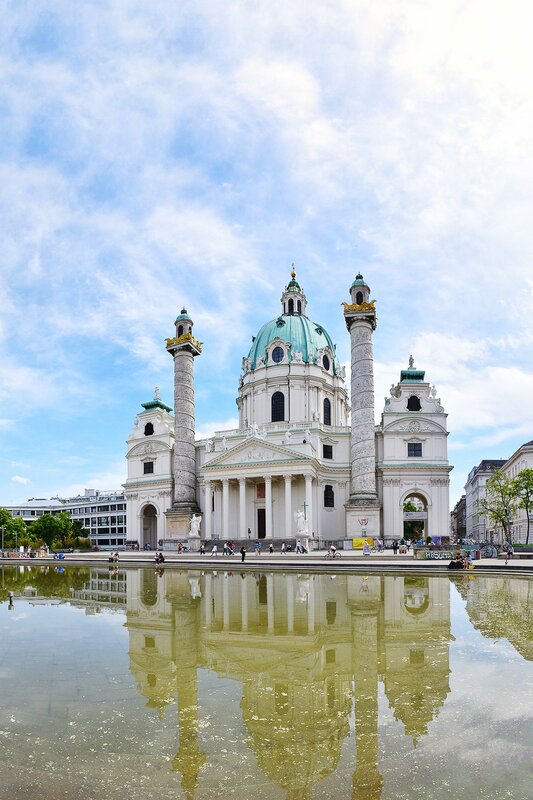 Have you ever been to Vienna? Do you have a favourite city? Where’s next on your travel wishlist? Top of my list is Iceland, Jan’s next must-see destination is a bit more difficult to get to – he wants to visit Galapagos!